This 1940's Art Deco fixture has 2 tone glass. The bottom of the shade is white to diffuse the down light. The top glass is clear allowing more light to enter the room. This light tends to shine up onto the ceiling and then reflect back down into the room. 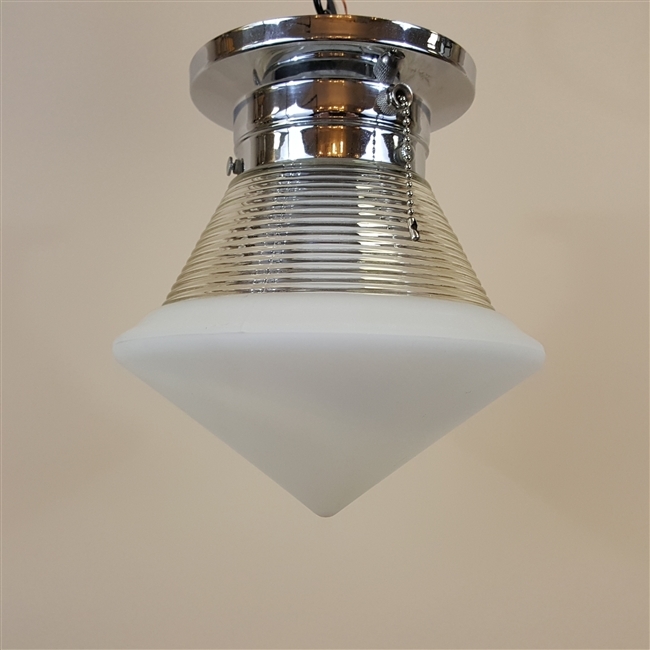 Dimensions: This fixture is 8 1/2" tall and 8" wide. Electrical: 1 Edison (e26) base bulb, 60 watts max. The switch can be used or bypassed by your electrician.